Photo Credit – Dave Welch, Air-Britain Photographic Images Collection Built by the Fleet Company in Fort Erie, Ontario, the Fleet Fort was built as an intermediate trainer to be used between the de Havilland Tiger Moth in Elementary Flying Training Schools and the North American Harvard in the Service Flying Training Schools in the British Commonwealth Air Training Plan. It was quickly deemed unsuitable for pilot training and the Fleet Fort only had a short career as an aircraft used to train wireless (radio) operators at No. 2 and No. 3 Wireless Schools in Calgary, Alberta and Winnipeg, Manitoba. In 1940, 200 Fleet Forts were ordered for the British Commonwealth Air Training Plan. Its unusual look was due to its raised rear cockpit. It had a fixed undercarriage with retractable fairings – added to give crew the sense of operating a more advanced aircraft such as the Spitfire with retractable landing gear. The first Fleet Fort flew in April of 1941. Only 101 of the 200 Fleet Forts were built due to the acquisition of a better intermediate trainer – the Fairchild Cornell – and change in philosophy of pilot training in the BCATP. Due to its mild manner, the Fort was not suitable for training pilots to fly feistier combat aircraft. The second variant of the Fleet Fort has a 330 hp Jacobs engine. It has a top speed of 193 mph, cruising speed of 163 mph and a range of 610 miles. It has a service ceiling of 15,000 feet. Built for a crew of two, the aircraft was 26 feet long, 36 feet wide and 8 feet high. 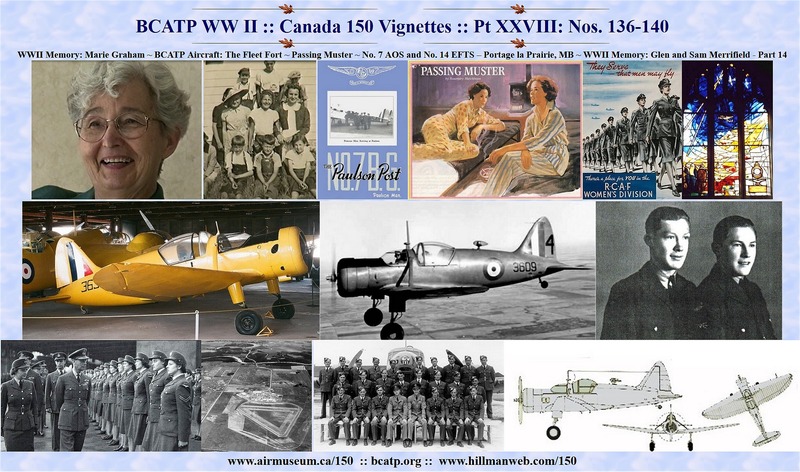 The last Fleet Forts flew in the BCATP in 1944 and were retired from the Royal Canadian Air Force in 1946. Fleet Aircraft of Canada Ltd.
Fleet Aircraft of Canada Ltd. was established by Reuben Hollis Fleet in Fort Erie, Ontario in March 1930, a subsidiary of the Consolidated Aircraft Ltd. 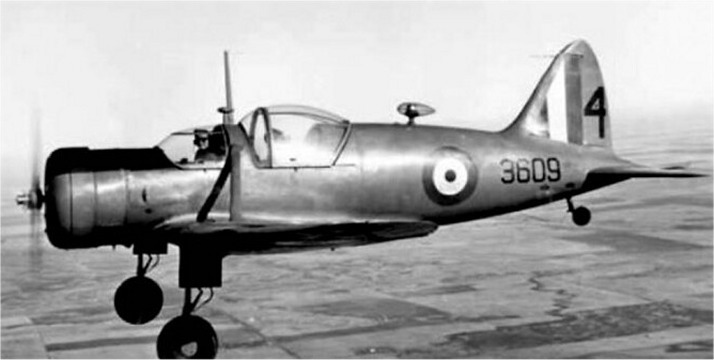 The first aircraft produced was the Fleet Fawn, which became popular with the Royal Canadian Air Force in the 1930s as an elementary trainer. The RCAF carried 43 Fleet Fawns into World War II as trainers in the BCATP and utility aircraft on air force bases. In addition to the Fawn and the Fort, Fleet produced a number of Fleet Finches which shared duties with the de Havilland Tiger Moth as the aircraft used by the BCATP in the Elementary Flying Training Schools until they were replaced by the Fairchild Cornell. At times, Fleet was producing 160 aircraft a month for the war effort, the largest aircraft production run in Canada with over 4000 employees, the majority being women. Fleet also produced Cornell aircraft for the Fairchild Company in the United States and provided wings, trailing edges and elevators for the Victory Aircraft Company located in Malton, Ontario. Legion Magazine, July 1986 I lean against the hangar wall and watch the action on the tarmac. It is crowded with air force other ranks. Soon all this blue-clad humanity will be dragooned into orderly flights by harassed NCOs. This is going to be the absolutely ultimate parade. The Kind is coming, the Queen too, and as an added attraction the two princesses. It is the year of Our War 1944. The place RCAF Topcliffe, Yorkshire, England. Though it was six months ago, it seems only yesterday that I said farewell to my good parents in Canada. I can still hear my mother shouting instruction: ``When you are on the ship, Rosemary, be sure to walk round the deck 10 times everyday. There is nothing like fresh air to prevent sea-sickness!’’ She should know, the sight of a row-boat makes her throw up, a rubber duck in the bath-tub brings on a convulsion. About the first person I had seen on boarding the Queen Elizabeth was my friend Charlie. I should have known that was inevitable. She and I seem fated to spend our service life in harness. We have already done 18 months together as motor-transport drivers in Newfoundland. But I was glad to see her. Life with Charlie is never dull. She tends to involve herself in all sorts of scrapes and unsuccessful scams, carrying me with her into endless trouble. However, she is a cheerful girl and has a blithe spirit in adversity. So far, I must admit, we have not run into much, but in war-torn England you can never tell. I hope she gets back in time for this parade. Having been stricken by hunger pangs, she has sneaked away to the kitchen door of the officers’ mess to inveigle food from some overworked cook to sustain her during the inspection. Only Charlie would have the nerve to do this just before the advent of royalty. Now I can see her weaving her way through the crowd clutching a paper bag. "What’s in the bag?" I ask. "Say, the King must be staying to lunch, no spam today. I got roast beef sandwiches in here all plastered with Gentleman's Relish, whatever that may be." "It’s like pickle, my father uses it all the time, he even puts in on sardines." I have a sudden nostalgic flashback to our dining room in Montreal and see dear old Dadsy with the pickle bottle at the ready by his elbow. Charlie digs into the paper bag and fishes out two hunks of bread bulging with juicy meat. I eat in such a hurry everything gets wedged somewhere round my tonsils. "Didn’t you bring anything to drink?" I ask. "For crying out loud, I told you to come with me. I had some orange squash, could have had beer instead, but I was afraid I might breathe on the brass." At this moment I heard the sergeant major calling out the markers. Charlie looks around wildly for somewhere to stow her empty paper bag and finally wedges it behind the hangar door. At the call to fall in we shuffle on to the tarmac and I lose sight of Charlie in the general upheaval. After the usual fuss and flap we are sized into flights and I end up in the front rank two down from the marker. I can hear a sergeant bawling at someone and figure it must be Charlie being dumb. That girl does not know her left from her right. Now, in a parade, the front rank is not a good position if you wish to remain invisible, which has always been my aim in service life. You are much better off in the middle or rear rank. Important people invariably talk to front-row persons when reviewing a parade. However, it has been my experience that these important people also tend towards certain types. I you look all gung-ho and hearty you are sure to be singled out for a question. On the other hand if you droop like some tired old horse, obviously wishing you had never heard of the air force, let alone joined it, important people home in instinctively, as it is clear you need backing up lest you collapse on the ground entirely. The best way to avoid all this unwanted attention is to stare fixedly at the horizon looking slight idiotic. Important people steer clear of idiots, though this is sometimes difficult as there are so many about. I have practised this policy with great success since leaving Manning pool and have yet to be asked a question on parade. I cannot see much of what is going on as we are at the rear directly behind a big flight of WAAF. On either side of the tarmac four Lancasters have been drawn up, no doubt for authentic decoration. Their great wings cast shadows at our feet. Although my view of the royal party is nil I can tell at once when they arrive. There is a sort of breathless hush and the NCOs glance down the flights to make sure we are all behaving . Now begins the raison d’etre for the King’s visit. He is awarding medals to aircrew. One by one as their names are called these recipients march up to have the awards pinned on their chest. Then comes the tragic names, the posthumous awards. These me will never wear medals they sleep forever in England or Europe, of cradled in the depths of the sea. I wonder what Charlie is thinking. Her brother was killed at Dieppe. The inspection begins. I hope it will be short as my legs are getting tired. To pass the time I stare up at the Lancasters. How big and deadly they look as they loom over the tarmac. Suddenly our flight is called to attention. Out of the corner of my eye I can see a group of people approaching, their leader awesomely recognizable. Incredibly they bypass the marker and stop in front of me. It is an indescribable sensation being eyeball to eyeball with the King of England. I am quite numb. Never again in this life will I be such a centre of attention, or feel so inadequate. Four very senior officers, air marshals, have their eyes on me, also a WAAF senior person with scrambled egg on her cap whom I have never seen before and our own women’s division commander, who sill boil me in oil if I do not do her credit. But they all pale into insignificance as I meet a pair of very blue eyes. The King looks magnificent in the uniform of Marshal of the Air Force. He asks me kindly where my home is and do I like England. I remember to says "Your Majesty" to the first question and "Sir" to the second. He passes on down the ranks and I fervently hope I have not looked like the tired old horse. Won’t my mother be pleased! She will tell all her friends, making it sound as though the King had invited me to Buck House for tea. Later in the mess hall Charlie asks me what the King said. When I tell her, she remarks rudely: "Wonder why he’d bother talking to you." I tell her it is because I have such an intelligent and beautiful face, a rare combination. She laughs so hard she chokes on a Brussels sprout. But much much later Charlie is not laughing at all. 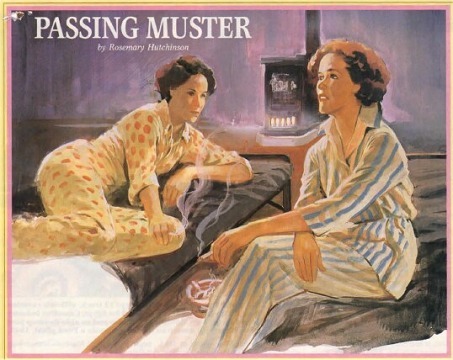 In the early dawn I wake in our Nissen hut to see her sitting on the cot next to mine, smoking. The only lights comes from the evil little stove that, belching smoke and coke fumes, keeps us all warm through the night. I go and sit beside her on the narrow bed, asking what is wrong. "Ah." She says sadly, "the parade today has made me think of Dicky. He was my twin, you know." Her only bother too, this boy killed at Dieppe. So we sit together in the gloom ruining our lungs with cigarette smoke, grieving silently for the dead youth of our generation. No. 7 Air Observer School opened on April 28, 1941, across a country road from No. 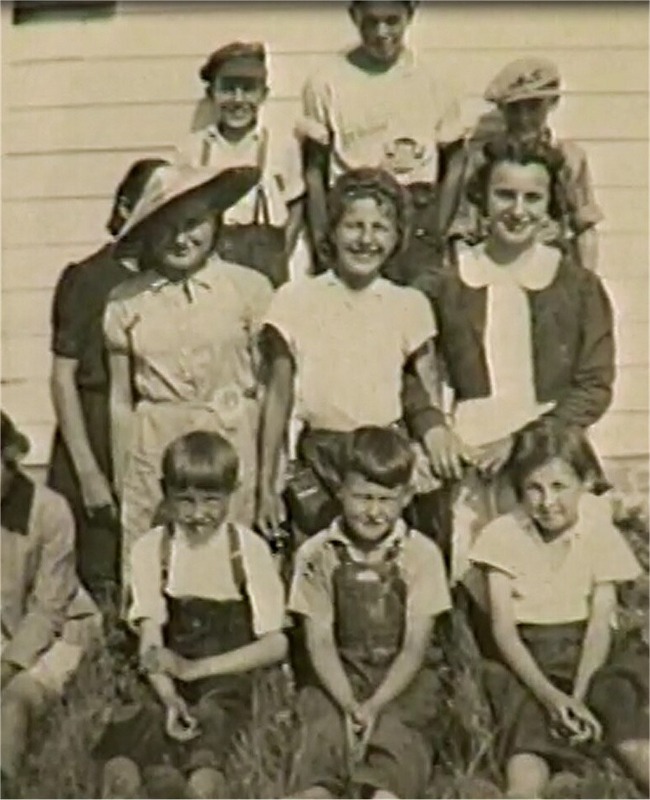 14 Elementary Flying Training School which opened on October 28, 1940 in the Rural Municipality of Portage la Prairie, Manitoba. No. 7 was open for 1,433 days while No. 14 was open at this location for 613 days. 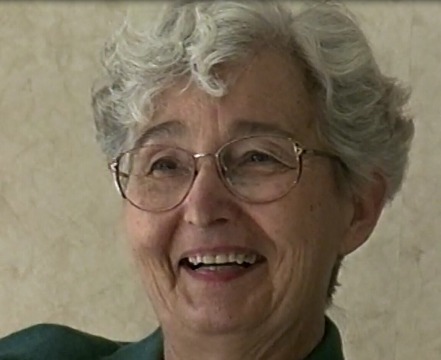 While the two were co-located south of the City or Portage, they shared a 15 bed hospital. The cost to build both schools was $450,000 ($7,266,666 in 2017 dollars) by Claydon and Company. The elementary school opened with eight large buildings including an airman’s quarters, an officers’ mess and quarters, an Non-Commissioned officers’ mess and quarters, a hangar, ground-instruction school, plus a stores building and garage. When this school was transferred to Assiniboia, Saskatchewan, the air navigation school took over these assets for its own training needs. 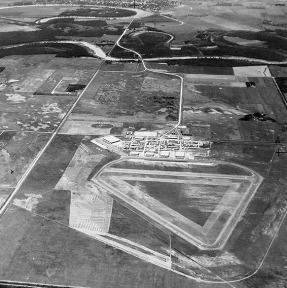 The larger air navigation school opened with 12 large buildings including a double-hangar, a single hangar, an individual mess and quarters for officers and a combined mess and quarters for NCOs and airmen, wireless building, direction finding equipment building, motor-transport building, stores building workshop and headquarters building. No. 7 AOS was one of three Air Navigation School operated privately by Canadian Pacific Airlines with the Royal Canadian Air Force providing the training. 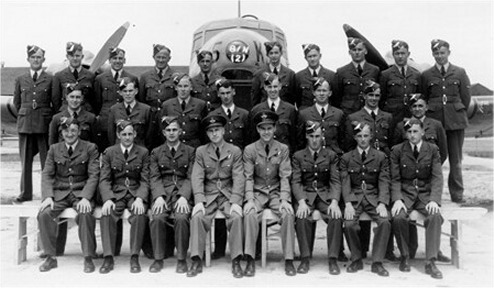 Initially, Commonwealth Air Forces operated with Air Observers trained in the British Commonwealth Air Training Plan Air Observers Schools. 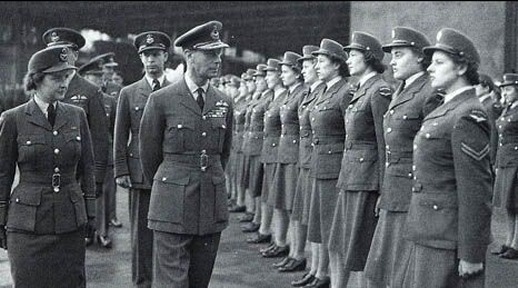 Streamlining of Bomber Command crews led to the deletion of the Air Observers positions in favour of Navigators whose job descriptions were re-written to better meet the needs of the air crews. Thus was born the Navigator B (Bomber) who were deployed to large bombers with large crews (e.g. Lancasters Halifaxes) and the Navigator W (Wireless) who were assigned to smaller combat aircraft such as the Mosquito which flew with a pilot and navigator. In all cases the Observers or the Navigators would first complete training at an Initial Training School and then were transferred to the air observer school for more advanced training. This was followed by Bombing & Gunnery School for Observers and Navigator B air crew , or Wireless School for Navigator W air crew. The Observers and Navigators would complete their training at an Air Navigation School. The curriculum at No. 7 Air Observers School included training in air navigation, air photography, reconnaissance, observation and mapping. The elementary school utilized the de Havilland Tiger Moth aircraft for training while the air observer school used the Avro Anson. After World War II, the aerodrome was used by a number of RCAF units until 1949 when it was closed. It was re-opened in the 1950s as a training school for the RCAF and NATO (North American Treaty Organization) air forces. Today it is the site of the privately owned Southport Aerospace Centre catering to commercial and industrial customers. A good portion of the World War II buildings still remain at Southport along with a new control tower and barracks, located away from the original buildings. Southport is home to No. 3 Canadian Forces Flying Training School, associated with 17 Wing based in Winnipeg, Manitoba. It provides Primary Flight Training and Helicopter Training. 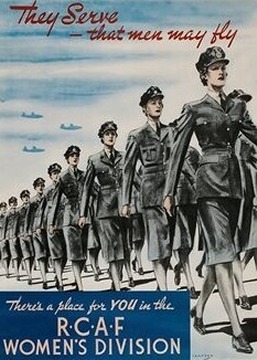 During the fall of 1943, we who had been overseas more than three years were offered an opportunity to return to Canada. The reports we had from those arriving from Canada told us they were still playing "soldier" pretty hard back there so we declined. The thoughts of marching past the flag at attention, saluting officers, attending parades, signing in and out at guardhouses, having passwords and polishing boots and buttons, except for going on leave, were activities we did not wish to resume after a long freedom from them. 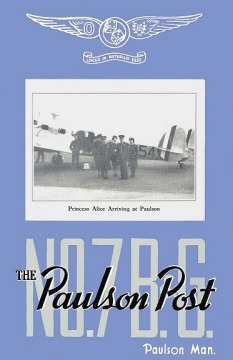 Around this time Flight Engineers became common and many of our fitters re-mustered to aircrew. One such was a chap named Bishop. He was a Sergeant fitter, who when he applied, was given a FE (Flying Engineer) wing brevet, put in John Fauquier's crew and sent on ops almost immediately, John knowing his capabilities. The Problem arose when shortly thereafter he was given an aircrew medical which he did not pass. His one mission was a good one as I believe John was Deputy Master Bomber that night and Bishop spent 45 minutes over Berlin on his first operational flight. He had a fine time for a few weeks thereafter going around telling all and sundry to "Get One in". The Squadron Summary of Events for January 10, 1944 shows under VISITS AND INSPECTIONS Their Majesties, The King and Queen, accompanied by their retinue, the Deputy AOC in - Chief RCAF O'seas, A/V/M N.R. Anderson, the AOC Pathfinder Force (8 Group), A/V/M/ D.C.T. Bennett, C.B.E. D.S.O. visited this station for the primary purpose of meeting aircrew of 405 (RCAF) Squadron. In spite of INCLIMATE (sic) weather, the ceremony was carried out successfully. This was probably a very busy period in their Majesties lives and we forgive them for not stopping by our billet and seeing us. I shall probably skip Buckingham Palace on my next trip to London. happen because a half hours practice session on a Sten gun does not really qualify one for defence against trained troops. Being the only Canadian Squadron in Eight Group PFF which was located between U.S. Sth Air Corp at Bedford and the U.S. 9th Corp at Chelmsford we never missed a chance to play a game of fastball with the American lads and then make pigs of ourselves on their creamed canned peas and peaches and all sorts of goodies we never saw at any RAF drome in over four years. Their B-17 Flying Fortresses we were shown with much pride and we spoke many fine compliments to properly set the stage. We noted that the bomb doors could not cope with more than a 1000 lb bomb. Now our Lancasters were off limits to other than PFF types due to H2S etc… However we could take them out and stand them under the nose and open the bomb doors and watch their mouths drop open. They never really believed that an RAF twin engine Mosquito with two of a crew aboard could carry as large a bombload as their Fortresses with 13 men aboard. Our demonstration showed them that our "Heavies" could with ease carry 3 to 4 times as much as theirs. Took the sting out of the beating they usually gave us on the ball diamond. In early June 1944 we all awaited the news that the second front had been opened. This day I was in Cambridge on day off and overheard a pilot from another drome telling another he was scheduled for a 4 a.m. takeoff, a very unusual hour in Bomber Command. On returning to camp I was informed our time was the same and so I told the assembled poker players that tomorrow was 'D' day. I was laughed at of course and when I went up for breakfast next morning nobody was talking about it so I assumed I had made a bad guess. On the shortcut bikepath to the drome from the mess, I met the overnite drome crews coming the other way and they had been listening to the radio and announced the invasion of the continent. 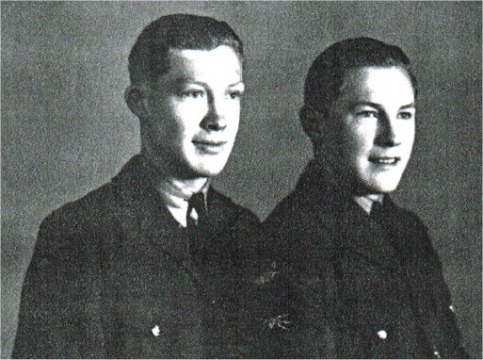 During our time at Gransden, Alex Sochowski, a Wolseley (Saskatchewan) boy, joined the squadron. Alex, a Flying Officer, flew as Navigator on Tomzaks crew in "M" for mother. The crew was lost but Alex survived the war as a POW. seen. Now the supply angle in '44 allowed our drome to have a fighter stationed there for fighter affiliation exercises. What a far cry from the summer of 1940. Our formation flying was grand but would the Bonds bought at our drome pay for the petrol? Silly question... press on... very grand. Now the finale... the Lancasters all down safely, the Spitfire starts to beat up the drome to show some Fighter Command flying. About the middle of the runway on his second pass he got too low... chips flew from the end of his prop... he pulled up and got in safely. One advantage of a wooden prop that splintered. Maybe we broke even financially... hope so. Three light south facing window in St. Bartholomew’s in Great Gransden, Huntingdonshire. 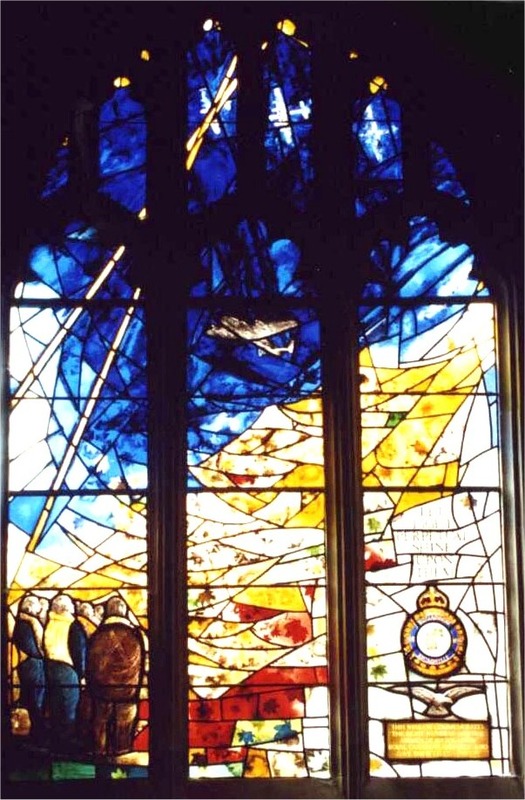 The 405 Royal Canadian (pathfinder) Squadron window was installed in 1989. This design is a memorial to the 900 men lost in bombing missions and represented as falling maple leaves.